Our Cherry Tree: Babies love Boxes! I've heard it so many times: "he opened all his presents but then preferred playing with the box". It's happened to me on numerous occasions. Because. Sometimes. 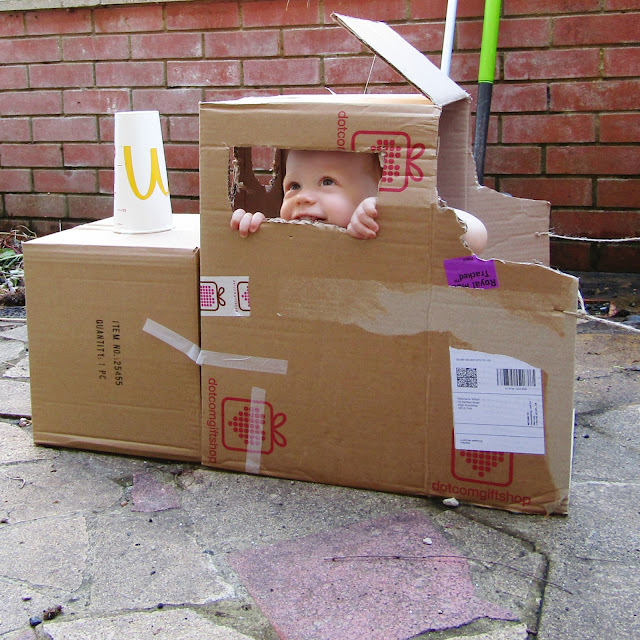 You just can't beat the endless possibilities of an empty cardboard box. Even Matt cannot resist it's lure. Which is why, on Monday when he'd taken a day off, I came downstairs to find him and the kids pretending that some empty boxes were a spaceship. What started as sitting in boxes and counting down to blast off soon evolved into more earthly transport, formed mainly of cars and then a train. Which is where is started to get really interesting and we added a pair of scissors, some sellotape and some string to our supplies. I'm not lying when I say this has kept the kids occupied for AGES. Even Ollie who doesn't have a huge attention span has spent over an hour today either sitting in the train or colouring it in with crayons and pencils. For something that normally would have been thrown out with the recycling, this cardboard box train is holding it's own and providing much hilarity for both children and adults. 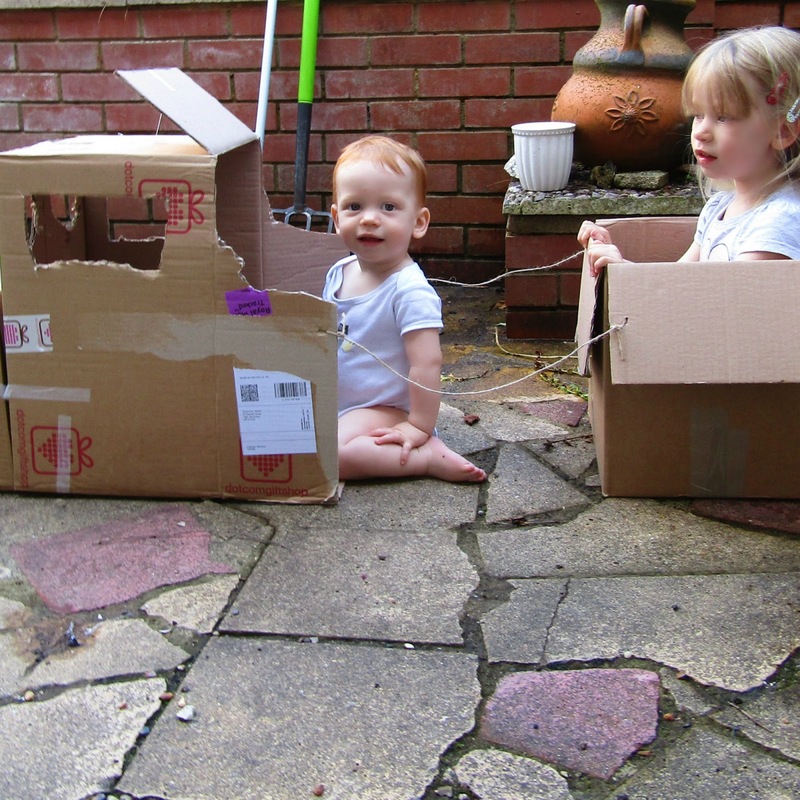 Unlike our previous cardboard box excitement, Matt and I have kept ourselves from going overboard this time. When we made 'Lily's Shop' it was heartbreaking to throw it away and this one is out in the garden so it's not going to last long in this unpredictable weather. 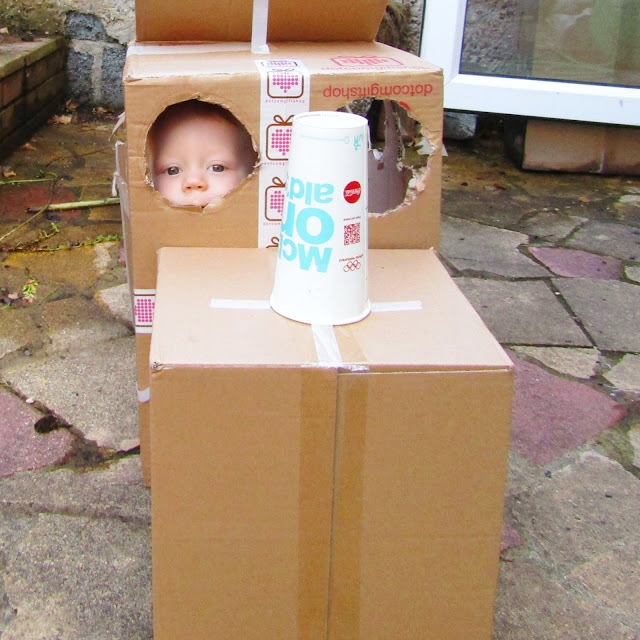 But that's the fun of a cardboard box isn't it? In your imagination, it can be anything.